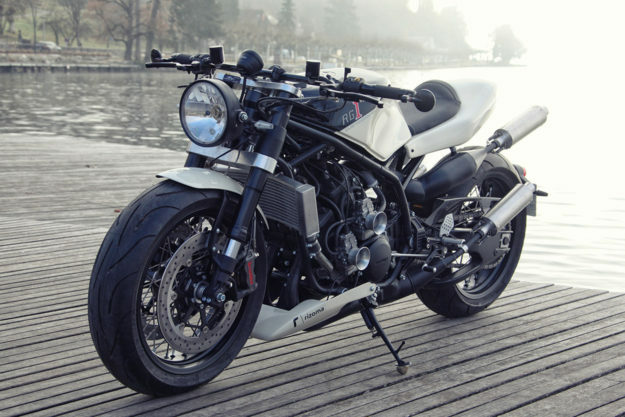 Ludovic Lazareth builds some of the world’s most extreme custom bikes. You know the type: they appear on websites that wouldn’t normally feature motorcycles, just because they’re so outrageous. 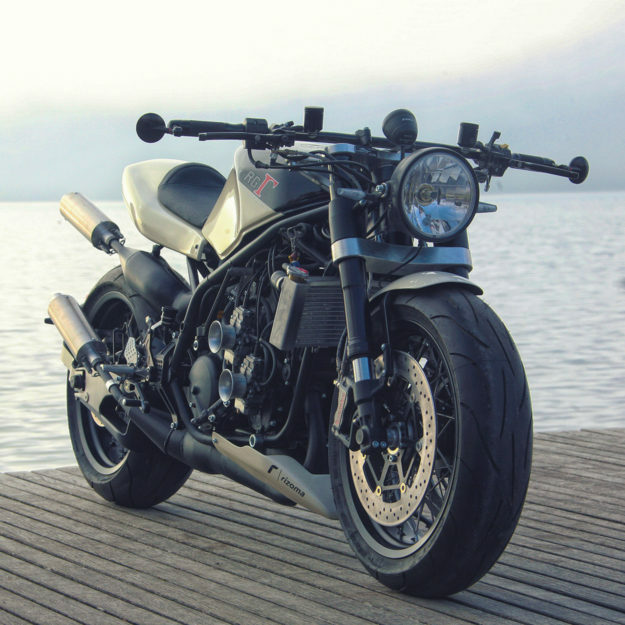 So when Monsieur Lazareth decided to build a bike for himself, we expected to see the ultimate clickbait. 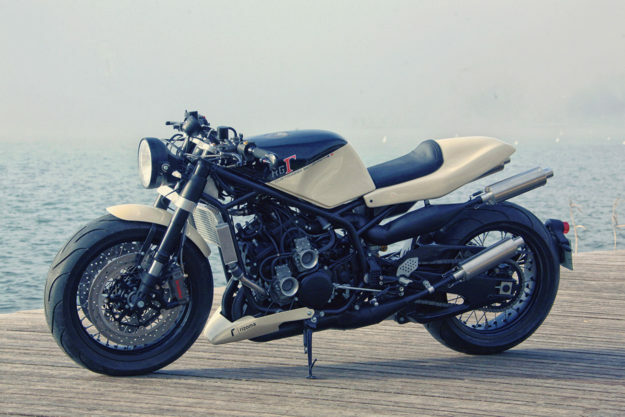 Instead, he’s exercised more restraint than usual and created this beautiful ‘neo classic’ Suzuki RG400 Gamma. 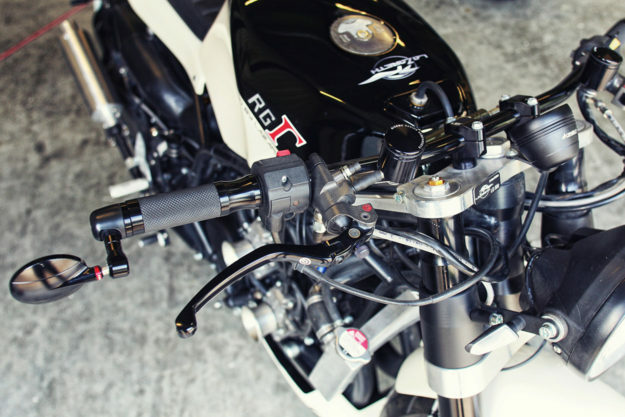 The RG400 is not a common bike outside of Japan. 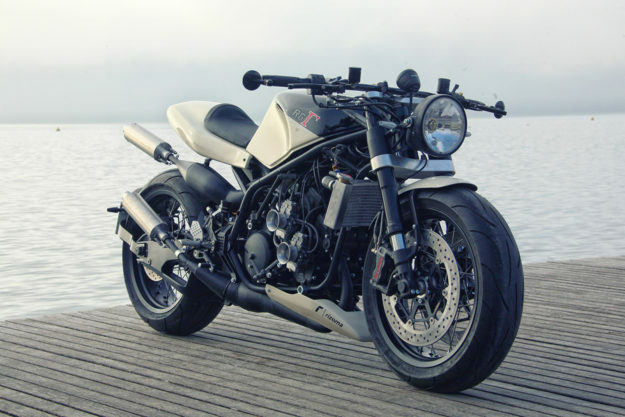 And Lazareth came across this example in a most unusual way: Via a phone call from his friend Franco Sbarro, of the Swiss sportscar company, asking if he wanted to take away some motorcycles that were lying around in the Sbarro factory. 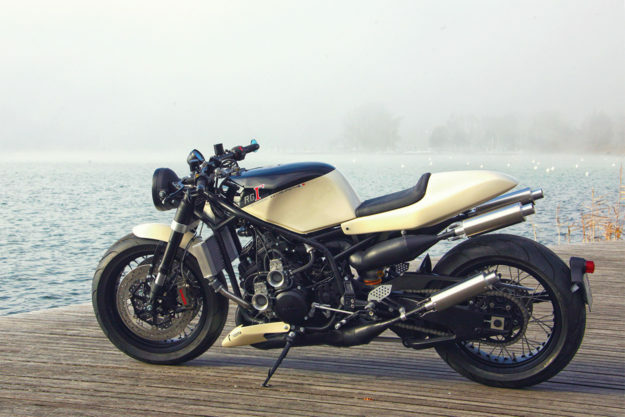 The bric-à-brac included an RG400, and it’s an inspired choice for a custom—a lightweight and fast mid-80s two-stroke. It weighs a mere 153 kilos (337 pounds), and is based on Suzuki’s contemporary square-four racebike. Sold mostly in the Asian markets, the RG400 had a shorter life than the more familiar RG500, but similar slab-sided styling. But the heavy-set fairing of the original has now gone. There’s a new tail unit to match the refurbished stock tank, and the cream-and-black paint is immaculate. 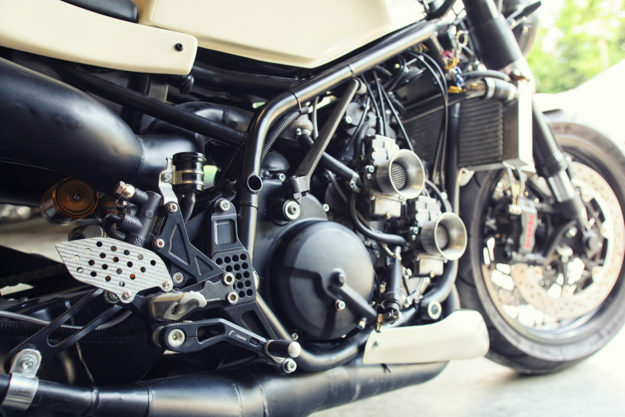 The rev-happy water-cooled engine is one of the highlights of the RG400: Even in stock form it’s fed by four 8mm Mikuni VM28SH flatslide carbs. 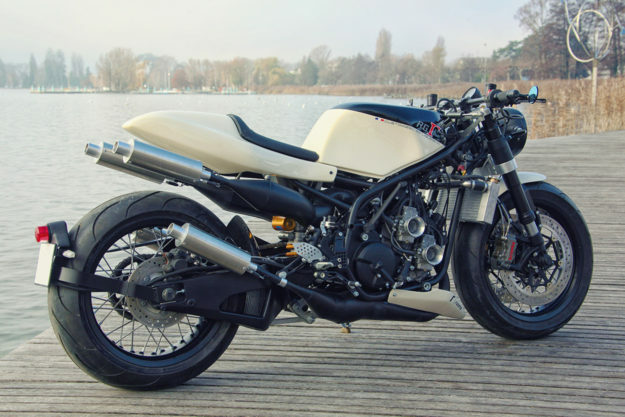 So M. Lazareth has left it alone, and focused his efforts on creating a new chassis with slim, elegant tubing. That new frame is now attached to a full Yamaha YZF-R1 suspension setup, with the forks and swingarm modified to fit. They’re hooked up to 17-inch Excel rims shod with Michelin superbike rubber. Other top-shelf goodies include an Öhlins shock and a full Brembo brake system with plate-sized 340mm drilled discs up front.